Online technology retailer Dabs has added a virtual video library to enhance the product listings on its website. 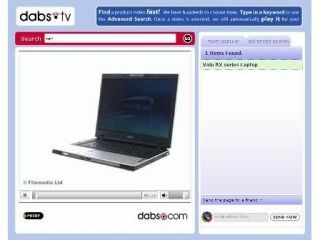 Dabs.tv lets online shoppers browse videos of Dabs' most popular computing and electronics products in one place. The videos consist of practical footage of products in action, with audio descriptions that explain the products' features and benefits, the company said. Visitors to the website can also see a 360-degree view of some products. There's also a zoom function for close-ups of distinguishing characteristics.